MKSK held its inaugural Design Summit, an event centered around knowledge-sharing, design thinking, and team-building. David Van Der Leer, Director of the Van Alen Institute in New York City, presented the keynote address. In his talk, David introduced the Van Alen Institute – a century-old non-profit organization dedicated to improving design in the public realm – and described how the Van Alen Institute promotes collaboration between practitioners, policymakers, students, educators, and community leaders. David spoke of his experience with the Van Alen Institute and as Associate Curator of Architecture and Urban Studies at the Solomon R. Guggenheim Museum. He led MKSK staff in an exciting conversation about technology, public engagement, interdisciplinary collaboration, and leadership in public space design. 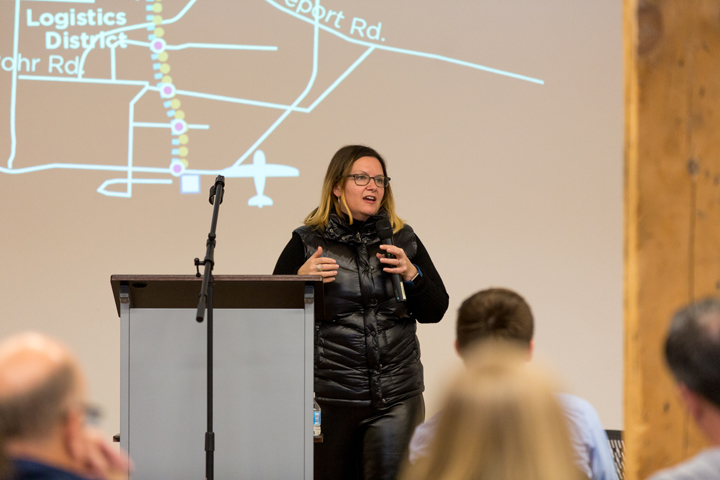 The Design Summit brought together industry professionals with MKSK staff-led workshops and presentations that centered around the themes of technology, design communication, sustainability and leadership. 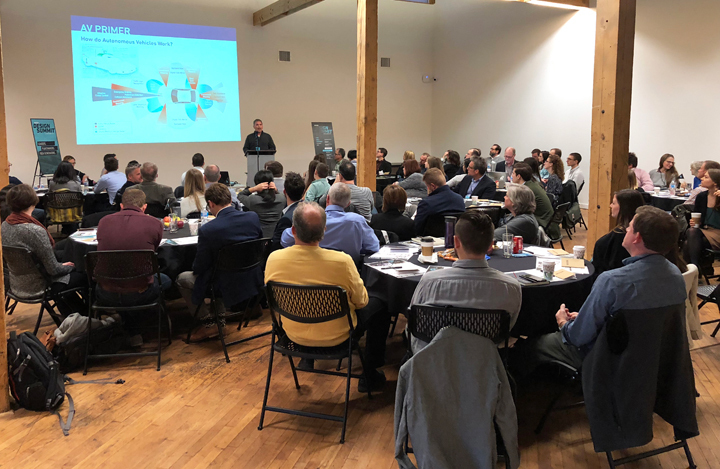 More than 60 planners, landscape architects, designers and administration from the seven MKSK office locations gathered for the all-day Design Summit at the Columbus Idea Foundry in the Columbus, Ohio historic Franklinton neighborhood. MKSK Principal Chris Hermann, AICP, presents on the future of Autonomous and Connected Vehicles. Karen Lewis, Associate Professor, The Ohio State University, presents on Design Communication. Mandy Bishop, Deputy Director and Program Manager of Smart Columbus, discusses the Smart City initiative that is taking place in Columbus, Ohio. MKSK Planner Tori Luckenbach was one of four recipients of the 2017 MKSK Trek Scholarship. Her work will study Pike Place in Seattle, Washington. Other recipients include Sean Hare, Designer, Donny Zellefrow, Designer, and John Petrushka, Senior Associate. 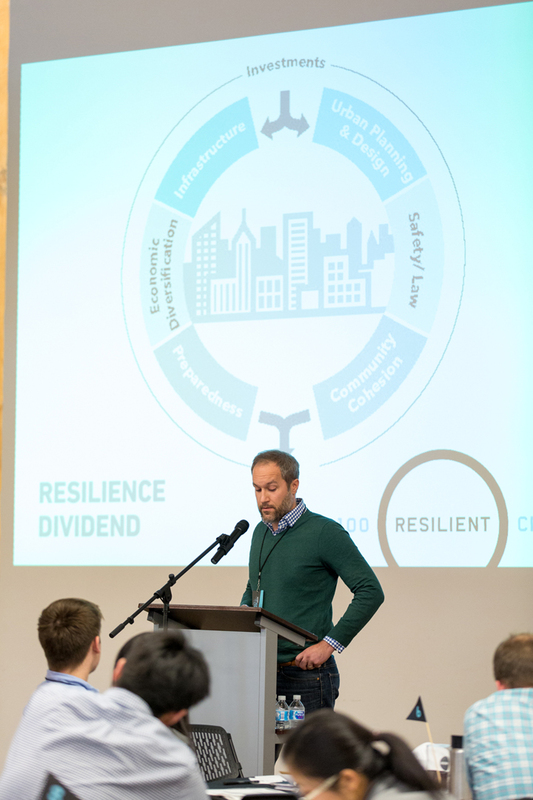 Matt Kellogg, Landscape Architect (MKSK) speaks on Resilient Design. 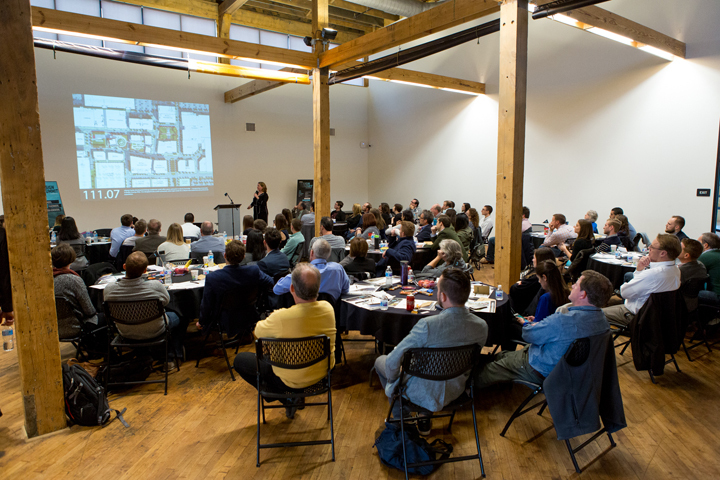 An interactive workshop session brought teams together to think proactively about resilient design. Keynote speaker David Van Der Leer of the Val Alen Institute, discusses best in class public space informed by social engagement and the user experience, and the work that the Institute has done around the globe. MKSK tours the Makerspace at the Columbus Idea Foundry.